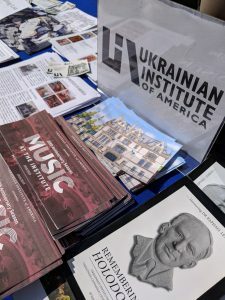 On Sunday, September 30th, the Ukrainian Institute of America, for the third year in a row, organized the Ukrainian Pavilion at 92Y’s Street Fest. 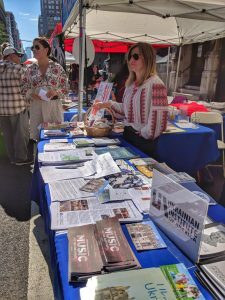 92nd Street Y’s Annual Street Fest, is a multi-stage event spanning 15 blocks along Lexington Ave (79th to 94th Streets) on New York City’s Upper East Side. 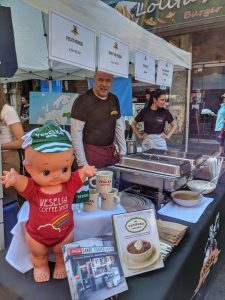 This public, outdoor festival features performances and activities for adults and children. 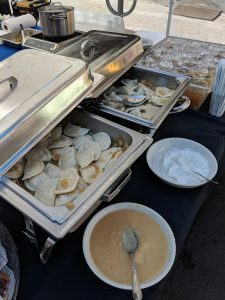 It had over 50,000 people in attendance. 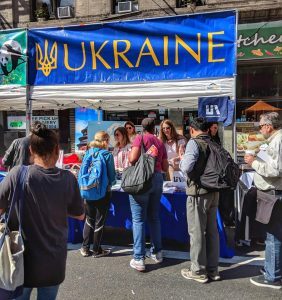 This year at our pavilion visitors were able to taste Ukrainian food by Veselka, get acquainted with other Ukrainian-American organizations in NYC, and receive travel information for planning a trip to Ukraine. In addition, guests had a chance to speak with Crimean Tatar representatives on the current situation in Crimea. 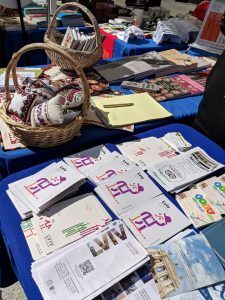 A raffle was held and free souvenirs handed out to visitors. 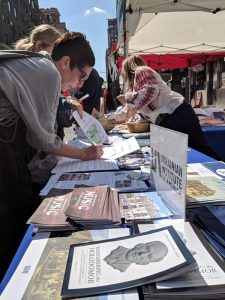 We are very pleased with the reach and impact we have achieved at this year’s festival and look forward to another stellar showing at next year’s 92Y Street Fest. 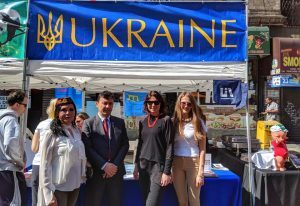 Special thanks to the Consulate General of Ukraine in New York, Ayla Bakkalli, the Representative for the Crimean Tatar Mejlis in the United States, and Mariana Oleskiv, Director Lviv Tourism Development Centre for their support.